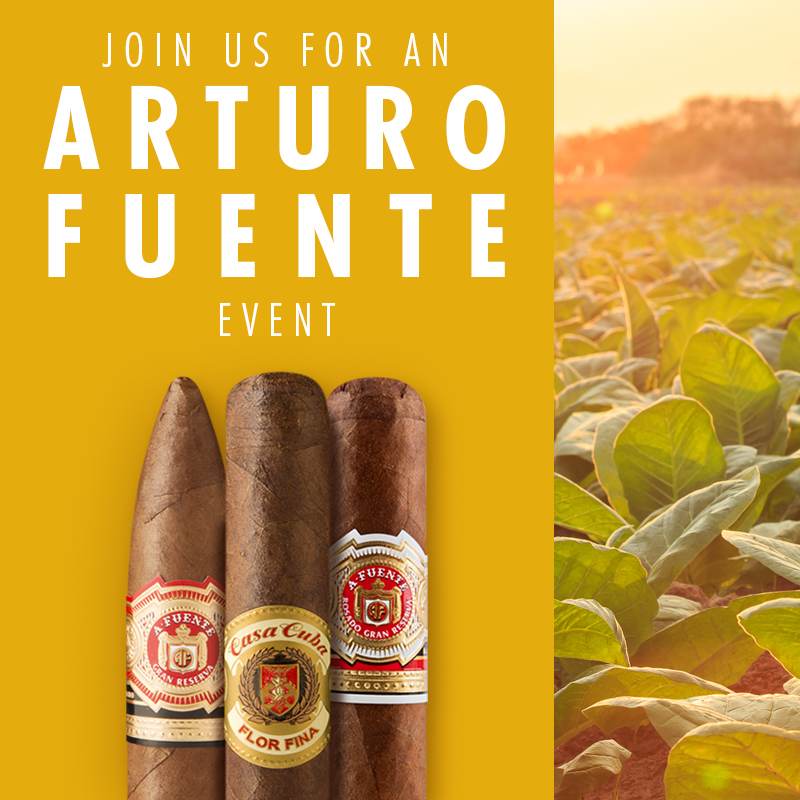 Join us for this special event with Arturo Fuente! Chat with representatives and get to know more about this amazing brand, special offers and event only deals. Supplies are limited, so don’t be last in line!